Discussion in 'iPhone and iPad Games' started by killercow, Oct 5, 2016. Have had my eye on this an will check out. Praying that IAP don't get in the way. Fingers crossed for a premium unlock. Edit: Haven't seen a single ad or timer! This is just pure fun. Have to play more but realized the guy who was behind Fist of Awesome was involved with this game which is a great sign. So I take it back.....there are timers in the form of "race tokens". I only raced 4-5 times before running out and being promted to buy more. There is an infinite token IAP that would essentially make the game premium (I guess) for $4.99. Wow what a nice surprise! 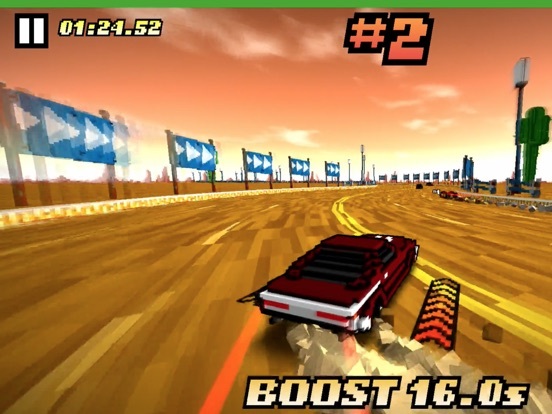 Super fun game definitely reminiscent of Burnout, Out Run and Rock 'n Roll Racing! I really love the very responsive controls! The only down side is a slight sluggishness in the frame rate on my iPad mini 2, but nothing too bad. Probably my game of the week!! @Snooptalian: there seems to be an endless mode too, although I haven't tried it yet. Feel the same. I liked what I've seen so far, but only was able to get in like 4 games before being asked to buy more tokens. While it's a fun game, that really rubbed me the wrong way. I'd happily pay for the unlimited coins but didn't really get a chance to dig into the game before being shut out. I'll just wait the 4 hours for them to replenish as there are other things to play. My initial impressions are good. While there are timers they did put in a way to get rid of them so I'm happy with that. There is a HUGE selection of cars. 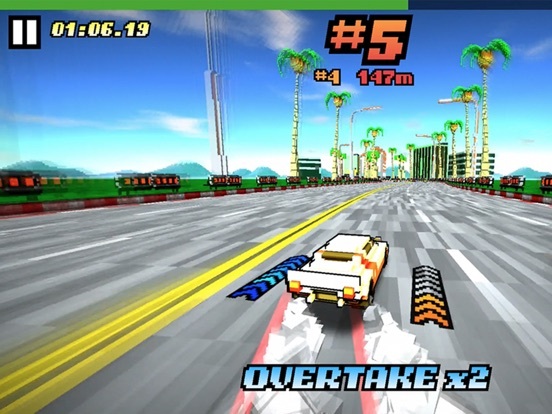 There's racing, drifting, and combat! The on screen controls are actually pretty well thought out. I did, however, experience a hang up when after a race I tapped the button for extra coins. It just hung up and I could do nothing but force close the game and restart. I will continue to play before I decide to go premium and I also might purchase one of the vehicles I like. I'll report back later. Does buying the unlimited IAP essentially turn the game completely premium or are there any opt in ads and stuff, a Crossy Road gacha system, etc? After a first couple of races: This game is fun! So here's the entire pay model system. There are no forced ads. You have 2 game modes. 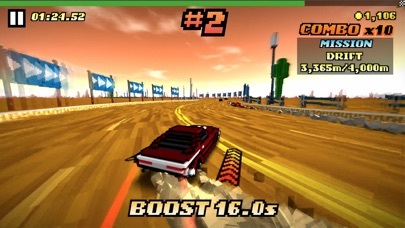 The first is a series of races with different tracks and settings. These require racing tokens, 1 per race, which replenish over time or you can watch a video ad for 3 or you can buy some for a $1 or unlimited for $4.99. 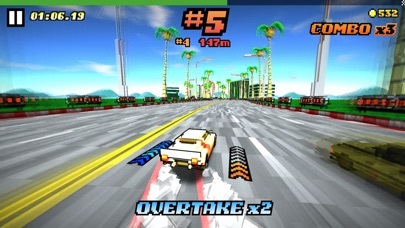 Each track is unlocked by winning the previous track. You can also pay $5.99 to buy unlimited tokens and pre-unlock all tracks. IF you don't want to watch ads or pay unlimited tokens the second gaming mode is an endless mode and that is always available. So you always have a way to play the game regardless. There are opt in ads after each race for extra in game cash. Cash you earn from every race is used to buy vehicles. Each vehicle has its own stats. Some are better than others. You can also choose to purchase any vehicle for $1. There is NO winning vehicles like crossy road. You must save up enough cash and do certain achievements to unlock and purchase vehicles with in game cash or buy them with real money. 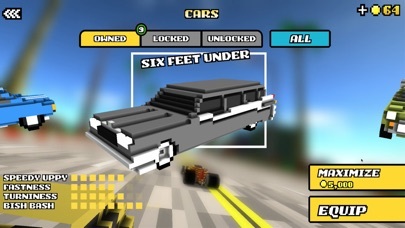 Each car can be upgraded with earned in game cash. There are cash packs you can also purchase for real money. They should have added a coin doubler IAP. I would have bought that. I did purchase just the unlimited tokens IAP. I did not decide what vehicle I want yet. I really like the game. It's fun. It gets pretty intense. I could have paid a dollar more and unlocked all the tracks but I want to play and do it on my own. I'm thinking I might purchase the black Humvee type of vehicle or the police car. The game is ok, but it has a rough feel to it. The frame rate is a little jerky, and the sense of speed isn't what I hoped for. Feels like burnout takedown with poor performance. Still fun to play though. I just hope it gets smoother in an update. Also, please add more content to 8 bit Waterslide. That is an underplayed gem. Do the missions ever change or is is always "near miss"? Hey man, Im one of the devs on the game. So each game world has one mission for every race. 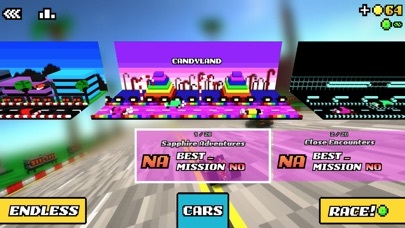 For Tropical world that's "near misses" but for Candyland it's about boosting, Desert World is drifting, SciFi is time spent in the oncoming lane and in Explosion World it's about blowing up cars with the explosive crates on the track. Hi dev! There seems to be some sort of bug that doesn't reward he player with the correct amount of cash. For example, I had $224k, finished in 1st place and completed the mission, and it showed a total of $26k of reward. When I returned to the selection screen I had only $238k. Is there something I'm missing? Last night I spent 50,000 and upgraded the 1st car, the Genesis. I just went in to play and I have no cash and the car is no longer upgraded. It's asking for 50,000 to maximize again. I actually raced with the car maximized. So it went through for sure. But today the game seems to have forgotten and kept the cash. That's not good. That's a lot of cash gone. Also I don't seem to be awarded the cash it says I've earned when I'm racing. For instance on one race it said I earned over 13,000 but it added like 1,200 to my total. There is something going on with the money in the game. Is it just me or does this game heat up the iPad like crazy? And I have a case over it too and can feel it being really warm. It heats up my IPhone 6 but most games now a days do. This game does have a lot going on. Do you have it charging while playing? Have you seen my bug report? The Genesis still shows it's not maximized today. I lost the $50,000. I recommend spending the $1 on that car if you want to buy a good car. I'm glad I did. 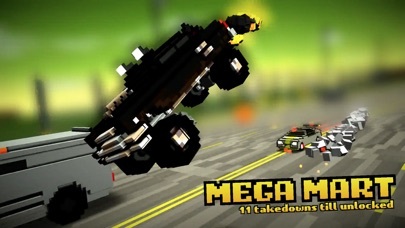 The missiles on this car take out enemy cars everytime with 1 hit. It's very fast and it has very good turning and armor. It costs $5,000 in game cash to maximize which isn't much at all. Out of all of my cars this has been the most effective and fun to use. It's also cool looking as well. If you use the boosts at the start of a race it's off the hook. I also wish there was a coin doubler IAP. I would buy it. So far I've spent $9 on the game. That's how much I like it. I just unlocked candy land so I'm about to dive into that. Let's do this!